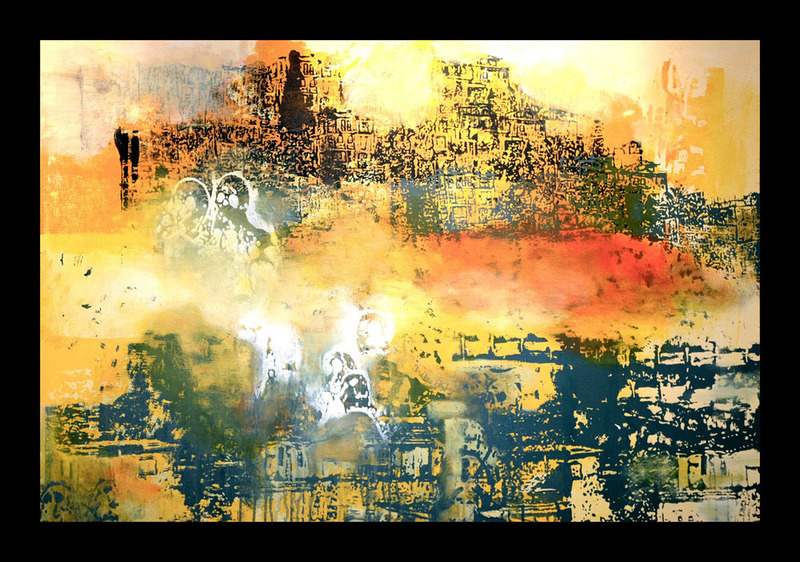 Nicole Patrice Dul examines social geography through printmaking and painting. She seeks to open dialogue about common experiences, pleasures and frustrations that come with home, place and national identity. Nicole observes cities that teem with busy industry and technology as well as rural areas that are quiet, spacious, and at times, run-down. She is inspired by each locale’s history and culture. 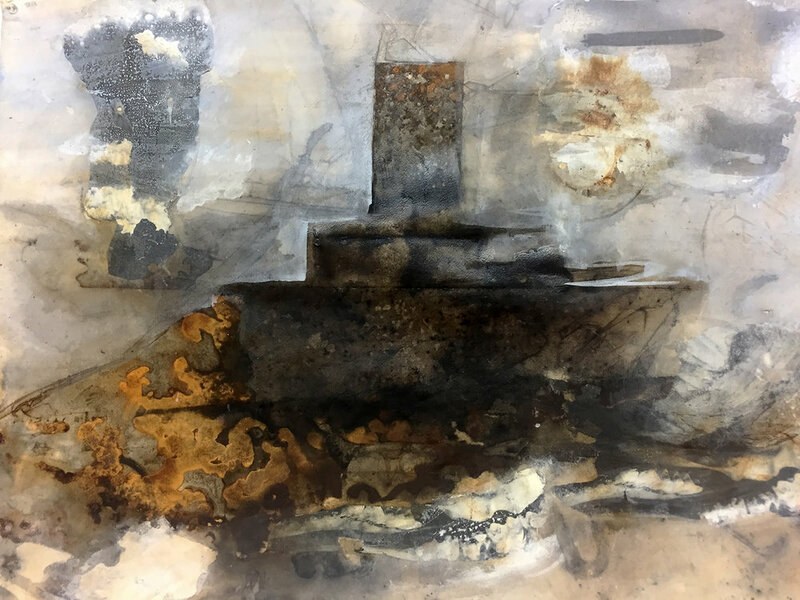 Her work reveals the effects of humanity on space and space on humanity and exists based on time, the metamorphoses that are revealed through deterioration, destruction, reformation and renewal. According to playwright Tom Stoppard, “Every exit is an entry some where else.” Just as place transitions and transforms, so do art and the process of creating art. Nicole Patrice Dul discovers the beauty in transitions that occur as place becomes space, space becomes place and existence becomes story. 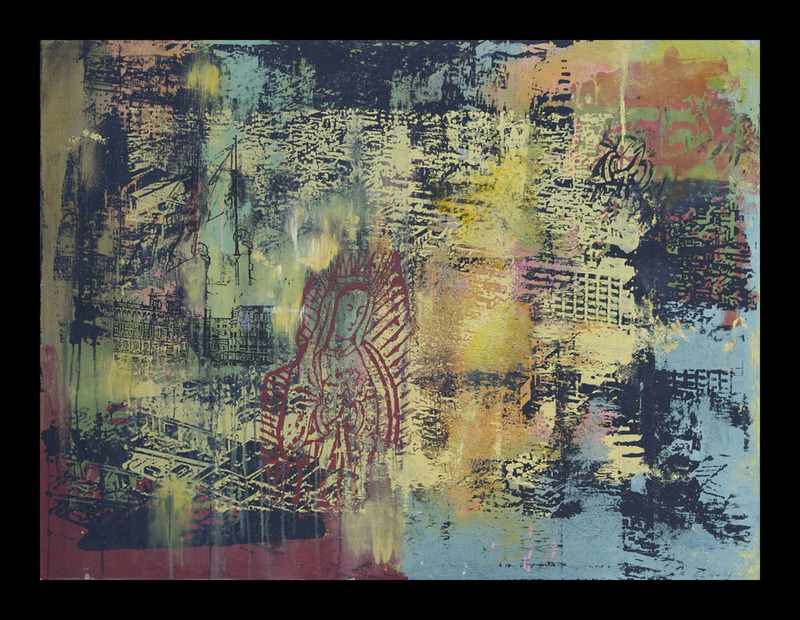 Printmaking affords her a way to combine process and medium, explore new methods, and experiment with mixed media. It allows her to integrate her creativity with her consciousness of social and psychological geography as well as her interest in cultural history. Nicole’s work is comprised of representational imagery translated into intaglio, relief, silkscreen and planographic prints, mixed media paintings and artist books.